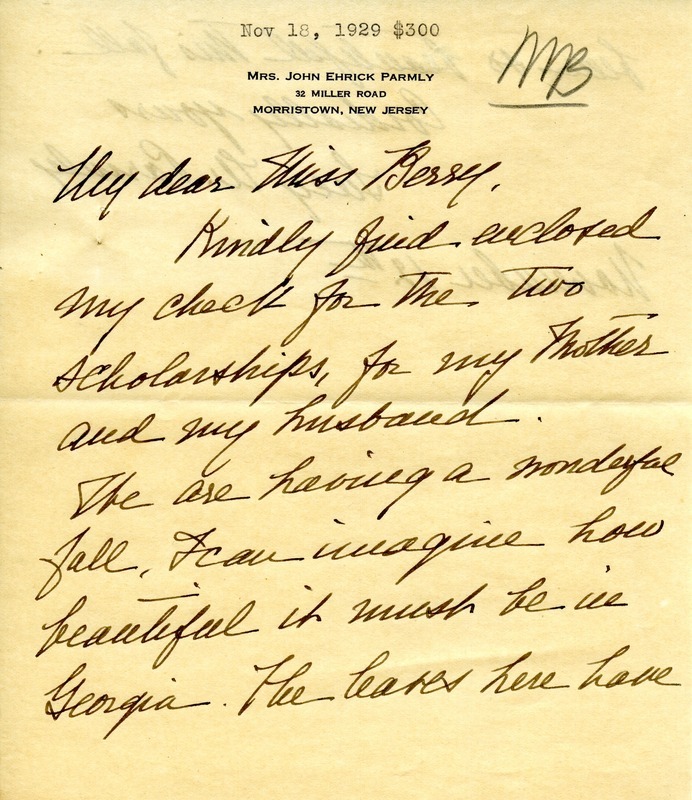 Mrs. Parmly sends a $300 check for two scholarships, one each for her mother and husband. Mrs. Parmly writes about the wonderful fall weather. 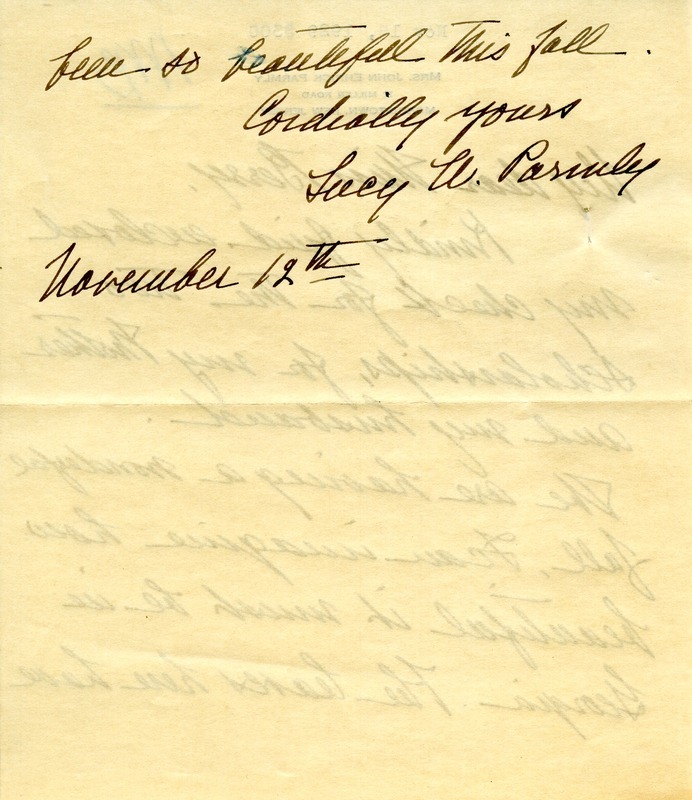 Lucy W. Parmly, “Letter to Miss Berry from Lucy W. Parmly.” Martha Berry Digital Archive. Eds. Schlitz, Stephanie A., Chelsea Risley, Alan Henderson, et al. Mount Berry: Berry College, 2012. accessed April 18, 2019, https://mbda.berry.edu/items/show/10776.